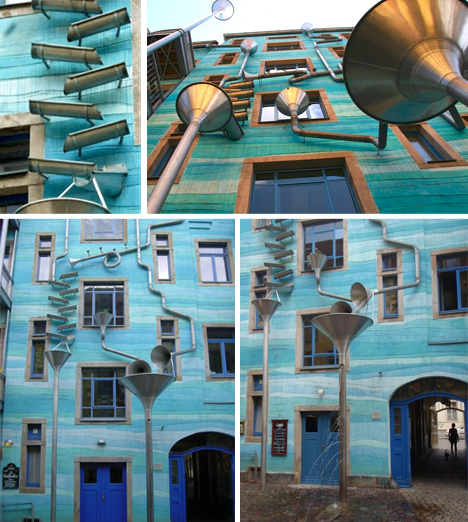 Architects go to elaborate lengths to hide the passage of water from the walls and roofs of buildings, but in this case, an interactive and artistic facade features the process prominently instead, turning the flow of liquid into music for passers by. 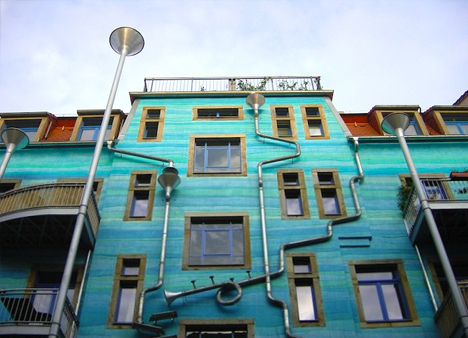 Kunsthof Passage in Dresden features a typical urban German experience: a series of cute small shops and quaint restaurants tucked into tunnels and courtyards and removed from the main streets. 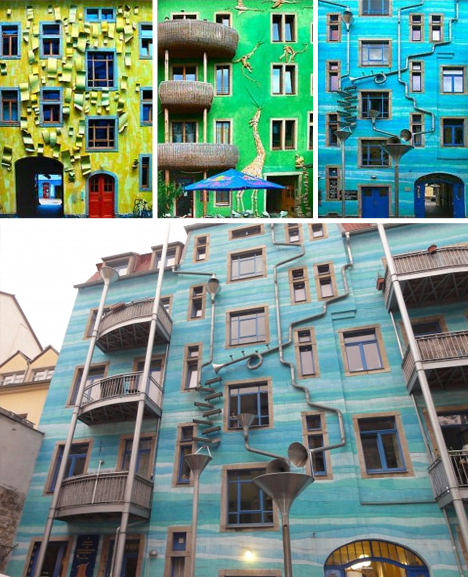 But it is more than that as well, thanks in part to the work of Heike Bottcher and others who contributed to turning the facades of structures facing its primary courtyard area into colorful works of musical art. 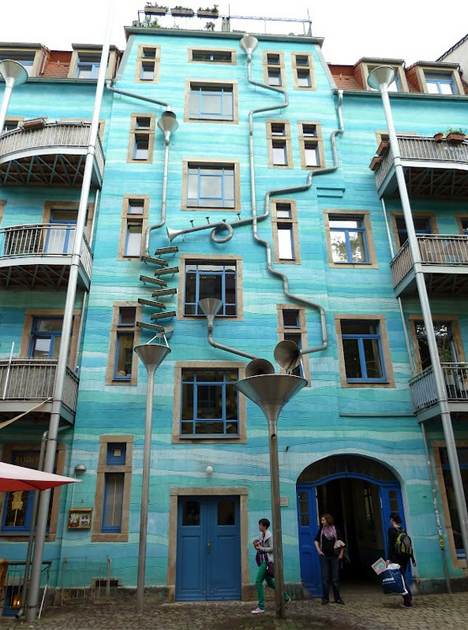 And, at the end of the sequence, channeled water flows out into a rain station where people can play, rinse their hands or let their pets romp through the result of this strange chain of channels.